Patna, Aug 31 (IANS) A court in Bihar on Thursday convicted Rakesh Ranjan Yadav, alias Rocky Yadav, of killing a Class 12 student in the infamous Gaya road rage case, a government lawyer said. The court will pronounce the quantum of sentence on September 6. Rocky — the son of Manorama Devi, former Member of the Legislative Council from the Janata Dal-United — had shot dead Aditya Sachdeva for overtaking his vehicle in Gaya on May 7, 2016. 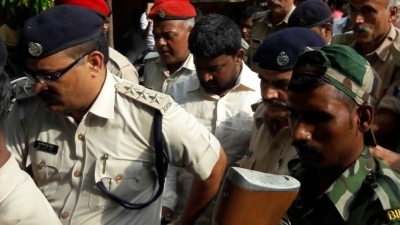 Gaya Additional District and Sessions Judge Sachchidanand Singh found Rocky Yadav, along with three others including his father Bindi Yadav, guilty of killing Sachdeva. According to the judgment, Rocky and two others — including his cousin Teny Yadav and a bodyguard of his mother — were convicted under Indian Penal Code Section 302, which calls for punishment for murder. Bindi Yadav was also convicted but not under Section 302. The judgment has come five days before the September 5 deadline fixed by the Supreme Court. While Rocky Yadav’s lawyer said that he will challenge the lower court order in the high court, the parents of the victim welcomed the verdict. Last year Rocky Yadav was granted bail by the Patna High Court but it was promptly suspended and subsequently cancelled by the Supreme Court. During the trial, four of the victim’s friends who were eyewitnesses in the case, turned hostile. According to the chargesheet filed by the police, Rocky was driving a new silver Land Rover, which costs around Rs 1.5 crore, and was armed with a licensed Italian pistol at the time of the incident. He committed the crime after he got into a fight with Aditya and his friends, who were returning home after a birthday party in Gaya town.